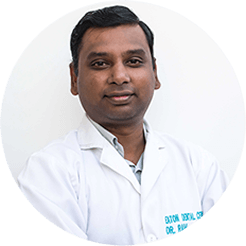 With Dr Ram’s experienced skill set, he can restore patient’s smiles and give them the freedom to eat what they like. He enjoys working with all kinds of people, from the elderly and the young, and has a particular interest in bridge work and root canals. The dentists at Eaton Dental Centre engage in 20–30 hours of professional development, mostly in the areas of root canals, crowns, bridge work and sedation. Our Eaton dentists are proud members of the Australian Dental Association. When Dr Ram isn’t helping people to have a confident smile, he likes to spend his time travelling, playing cricket and fishing.